Flexible desktop scanner handles documents and ID cards and then quickly ejects from its docking station to become a full function portable scanner for PC or Mac devices. 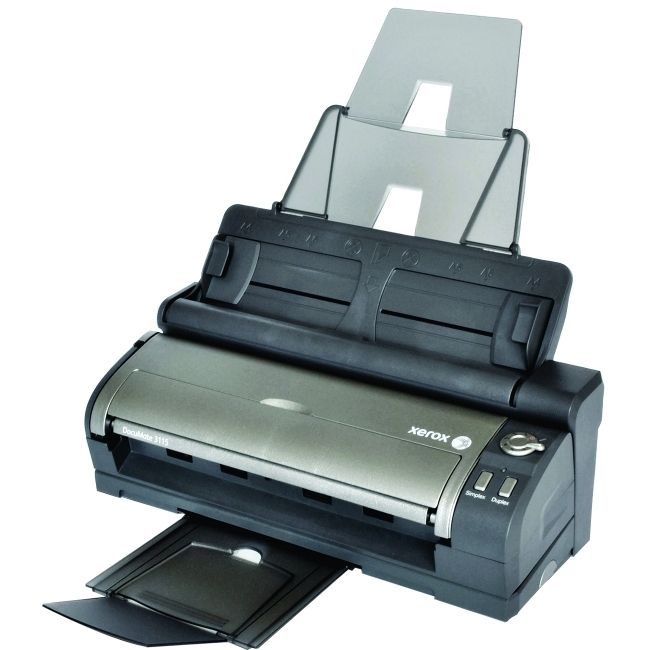 The Xerox DocuMate 3115 has a 20-page automatic document feeder (ADF) and scans at 15 ppm/30 ipm. When undocked, the scanner can function through USB or electrical outlet as a sheetfed scanner. The front feed slot accepts documents from letter/legal/A4 size to photos, receipts and plastic ID cards. Media Size: 3.50" x 2.20"